To book call 0845 22 50 495 or one of our local numbers or book online here. Independence In Your Home is a service offered by The 50plus to the elderly, their relatives, carers and supporting agencies or others who may have particular needs. The 50plus Independence In Your Home service makes staying in the home environment an easier choice through provision of a broad range of adaptation, maintenance and improvement services offering peace of mind to users and their families. Requiring a little more help with general maintenance around the home. We realise that independence is important for many people as they grow older and studies show that for the vast majority of people this includes a desire to live in their own home rather than moving into residential care. 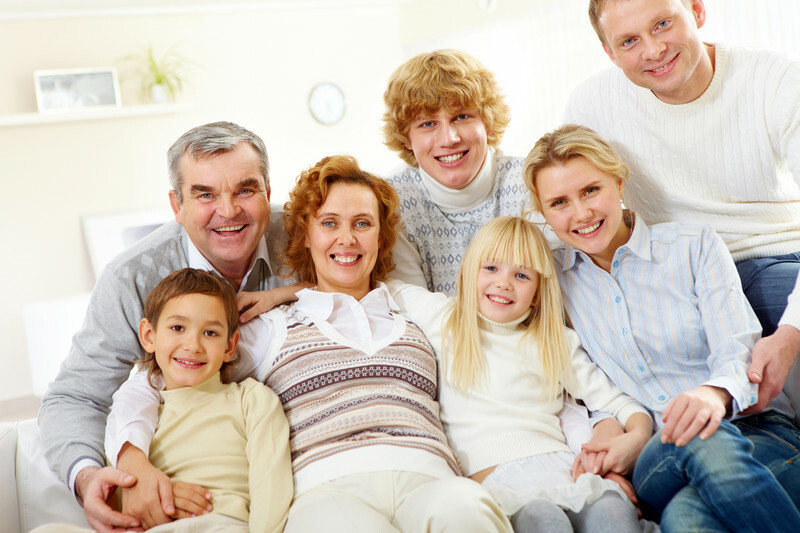 Adapting the home environment or receiving a little more help assists with safety and can provide additional comfort. If you or a family member desires independence but find some of the tasks that much harder, then home adaptations, improvement and maintenance support may be of help. Some of the changes you make can be simple such as changing lighting to make knitting, reading or moving around easier. There are the classical adaptations such as changing a bath to a shower. Also todays widely available technology can be used to provide improved communication with family members, remote control of a broad range of items and/or improved security. It is always worth asking, 'what can I do to make life that bit easier?'. Independence In Your Home services include a broad range of advice, safety, independence and comfort services. 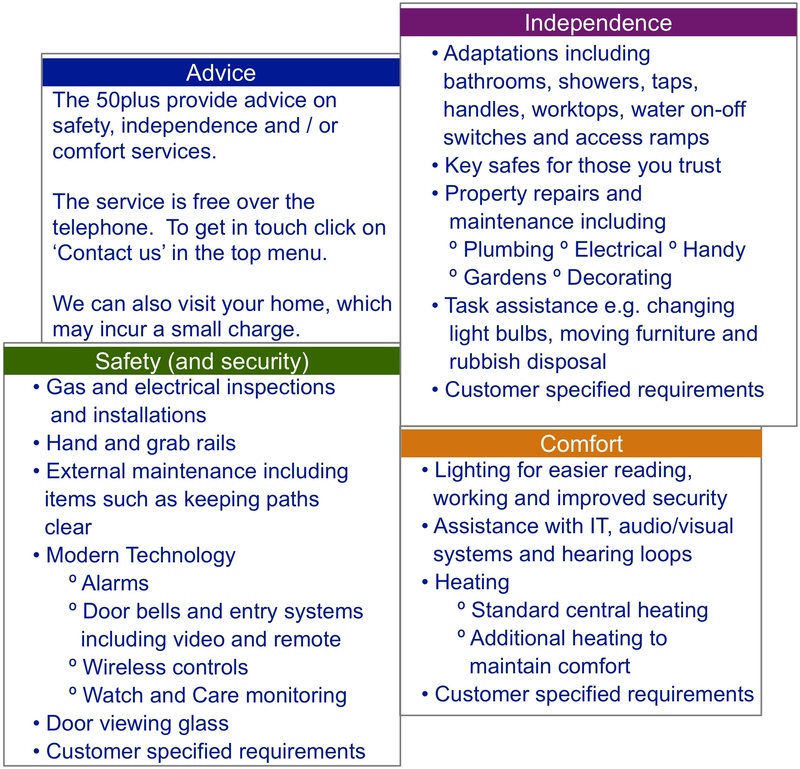 The Independence In Your Home service is available under four category headings. Mix and match the individual features to find the service that best suites the needs of you, your family or clients. 50plus can also supply customer specific services which may not be listed, just ask. Click here or anywhere on the image for more detailed information. Illustrations (c) Can Stock Photo and The 50plus Organisation Ltd.